Filming Interactions to Nurture Development (FIND) is a video coaching program that aims to strengthen positive interactions between caregivers and children. FIND was developed by Dr. Phil Fisher and colleagues. It uses select clips of adults engaging with children to reinforce developmentally supportive interactions, or what’s known as “serve and return.” This simple, practical approach emphasizes caregivers’ strengths and capabilities. Science tells us that serve and return interactions are essential to the development of brain architecture. When adults interact with children in a caring, responsive way, they help build and reinforce neural connections in a child’s brain that support the development of important cognitive, social, and language skills. This video tells the story of how the FIND development team in Oregon partnered with Children’s Home Society of Washington to help parents identify their own strengths and learn which interactions best promote healthy development. The FIND program aims to increase serve and return interaction in order to boost parent sense of competence, decrease parent stress and, ultimately, promote positive outcomes for young children. This theory of change is described in detail in a paper in Child Development Perspectives. Building serve and return skills is a simple, yet powerful way to build the environment of relationships that promote resilience and help children reach their full potential. Read more about how theories of change guide program design and evaluation. A coach filming a mother and children in a home setting. Photo courtesy of FIND. FIND coaches film families for 10 minutes as they engage in everyday activities, such as playing a game or having a snack. Short clips are then selected that highlight positive instances of parent-child interaction. Coaches share these clips with the caregiver in weekly structured coaching sessions. In reviewing clips, coaches facilitate caregivers’ understanding of how engaging in serve and return can promote the child’s development. FIND is currently being evaluated in the context of several large-scale research studies as well as a number of smaller-scale studies based at the University of Oregon. As part of the Frontiers of Innovation initiative, adaptations of the FIND program have been implemented in a number of different service systems including early childhood home visitation and home and center-based childcare. This video from the University of Washington features the FIND fathers program. 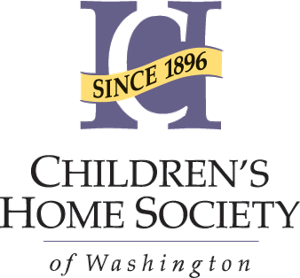 From January to June of 2013, FIND was implemented in the Early Head Start home-visiting programs at the North and South King County offices of Children’s Home Society of Washington (CHSW). CHSW is a statewide non-profit serving over 40,000 children and parents in a variety of center-based and home-based models. Interventionists were Early Head Start home visitors at CHSW. Building on this early pilot, the FIND Father’s (FIND-F) project focused on testing FIND with low-income fathers. The FIND-F project team included researchers at the University of Washington, practitioners at CHSW, and the FIND development team. The project began with a co-creation process that involved a high level of collaboration between the research and clinical teams as well as semi-structured interviews with fathers and home visitors. This process led to a number of insights and subsequent adaptations to the model, such as offering sessions on nights and weekends and asking fathers about their preference of a male or female coach. Fathers were referred from two home visiting programs serving low-income families. The sample included 15 fathers with children ages 6 to 36 months who spoke English or Spanish fluently. Data on father participation suggests the model was acceptable to fathers and feasible to implement in the context of home visits. Of the 15 participants, 12 (80%) completed all six sessions of the program and the average length till completion was just over six weeks. Fathers who completed FIND-F reported lower stress and showed improvements in observed parenting skills. In addition, fathers who had experienced the most adversity in their own lives reported higher levels of parental involvement and decreases in their children’s behavior problems. The results of this trial are published in Child Development Perspectives. Findings from this pilot provided further evidence of feasibility and supported many elements of the proposed Theory of Change. Specifically, participation in FIND-F was associated with improvements in parenting stress, father involvement, and child behavior problems. Though promising, these results should be interpreted with caution due to the small sample size and absence of a control group. In keeping with the FOI model of rapid-cycle testing, current projects are aimed at testing these effects in various populations with more rigorous study designs and larger sample sizes. From September to December of 2013, FIND was implemented at a home-based childcare center in Richland, WA called Hope for the Future Childcare. First, a provider at Hope for the Future participated in FIND via web conference. Then, the child care provider delivered FIND to parents whose children were attending the child care center. This small-scale road test demonstrated the feasibility and utility of implementing FIND in the context of child care. FIND is currently being implemented as part of the Washington State childcare quality rating and improvement system (QRIS), Early Achievers. This project involves training Infant Toddler Consultants as FIND coaches. These coaches engage child care providers in the FIND program to promote serve and return interactions in the child care setting. Video editing is provided by specially trained staff at CHSW. Over the course of the project, the CHSW team was trained as consultants in order to ensure long-term local capacity for sustainable implementation. Consultation is now provided by the CHSW team with support from the FIND development team. In January 2016, four randomly selected regions of the state began implementation; the remaining six regions started implementing FIND in July 2016. An evaluation of the project is being implemented by the FIND development team and researchers at the University of Washington. Read an update of the project from the Washington State Department of Early Learning. Members of the team working on FIND discuss the process of co-creation behind the program. Co-creation is a guiding principle of Frontiers of Innovation’s IDEAS Impact Framework. A fast-cycle learning approach has been important to the development and scaling of the FIND program. As researchers and practitioners learn more and share feedback about the program, they use these reflections to continually adapt and refine the program materials, theory of change, and approach to evaluation. This constant incorporation of new learning has led to several key changes. First, based on feedback from the home visiting staff implementing the program, the FIND development team simplified the text and clarified a number of concepts in the program manual. Additionally, practitioner input helped to streamline the process for sending and receiving video files, resulting in a far more cost-effective and user-friendly solution that maintained participant confidentiality. Finally, in order to build internal capacity, staff members at CHSW were trained to edit the video footage themselves. The researchers developed a protocol for editor certification to ensure the reliability of the edited footage. Interested in Learning More about FIND? Work on the FIND project is ongoing. If you are interested in learning more about FIND, please visit the FIND website. The FIND team is interested in implementing and testing FIND with a diverse group of populations to increase learning about who FIND works best for and in what contexts. The FIND development team considers new partnerships throughout the year, with project start dates of January 1 or July 1 in each calendar year. The FIND development team works closely with FIND partners to develop an implementation plan, including providing cost information for training and support to be included in funding proposals. When funding is secured, FIND project teams maintain a working relationship with the FIND Development team throughout implementation to collaborate and coordinate on the program and evaluation. The FIND training and certification process begins with a three-day intensive training for FIND coaches and a two-day intensive training for FIND video editors. Training continues through an ongoing weekly consulting and certification process. Certification progresses during an implementation, while coaches are working with families. Coaching certification typically takes six months to complete; editors may reach certification more quickly.